DOOLIN COAST GUARD and Kilkee Coast Guard were involved in the rescue of a man off the coast of Clare last night. The alarm was raised about the man being missing at 5.30pm yesterday evening. RTÉ reports the man’s boat had capsized. 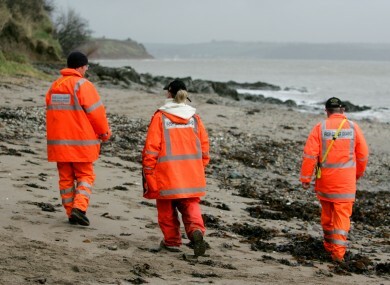 A member of Kilkee Coast Guard told TheJournal.ie that they were involved in the search along the coast. He said that Doolin Coast Guard located the man on Mutton Island at 8pm. The man, who did not suffer serious injuries, was taken by helicopter to hospital. Over the weekend, the coast guard and the Baltimore lifeboat service were involved in a search for two teenagers, who were rescued from a cave in West Cork. Email “Man rescued by Coast Guard off Clare Coast”. Feedback on “Man rescued by Coast Guard off Clare Coast”.